When I fill out a Help Request form from my Shopify App Listing asking for help it comes from the email address noreply@shopify.com and the body or thread just says (empty) on my osTicket Help Desk. I'm using a PIPE forwarding on my web hosting to deliver. The same email arrives on my home Desktop MS Outlook and the body is intact with the original message I entered on the Shopify help Form. Most other emails come into my Help Desk correctly with the body intact but some other emails are coming in empty or stripped out. What could be causing this issue and how can I fix it? Same issue happened using gmail on iphone but not from gmail on the web. very weird. Replying to ticket using my same gmail account from the iPhone the body = (empty) message is stripped out when it arrives to the osTicket Help Desk. Replying to ticket using my same gmail account from the Desktop Web Gmail the body = Good the message arrives into the osTicket Help Desk system intact. Folks, how can I fix this issue? Hopefully we can figure this thing out! My guess is that the email format is wrong. (such as incorrect html tags) so its being stripped by htmllawed. What can I do on my end to fix this? This is very problematic. It seems like there are a number of avenues that you could approach this from. 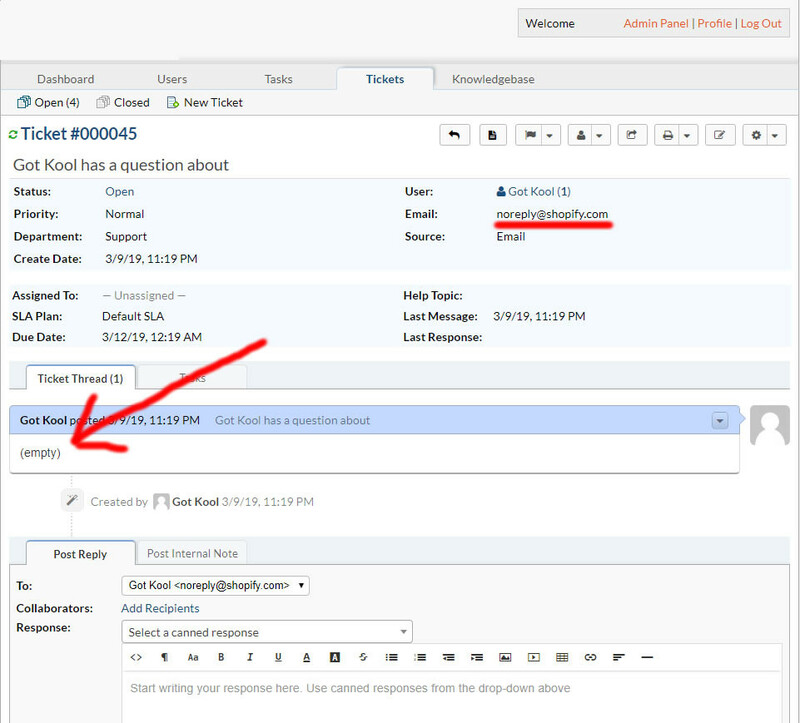 -Or you could change your work flow and use email less, by logging into the ui to reply to things instead. Thank you kind sir! Would I provide the raw email headers here in this thread or do I need to open a ticket directly with osTicket? Doesn't seem to be email specific as the same email address works fine from Web Email or Outlook on pc but when replying on iPhone the body is stripped out. 1. Customer clicks on my Help Desk link inside my Shopify App. Customer creates the ticket on customer ticket web form of course I will see the body correctly at this point but as we reply back and forth via email and if the user is using their iPhone to reply the body will be stripped out. 2. Customer clicks on Get Support link on the Shopify App Store when viewing my App Description. This is a form provided by Shopify and it comes from noreply@shopify.com and this fails to deliver the body everytime. Again all emails sent also come into my Desktop Outlook intact and I can copy and paste the content over into the ticket to update it. That is not that big of a deal but customer gets auto-reply with link to view ticket online and until I update the ticket it will say (empty) and they will think something went wrong and re-send their reply. Also, I have setup a second TEST help desk on another domain and it does the same thing. 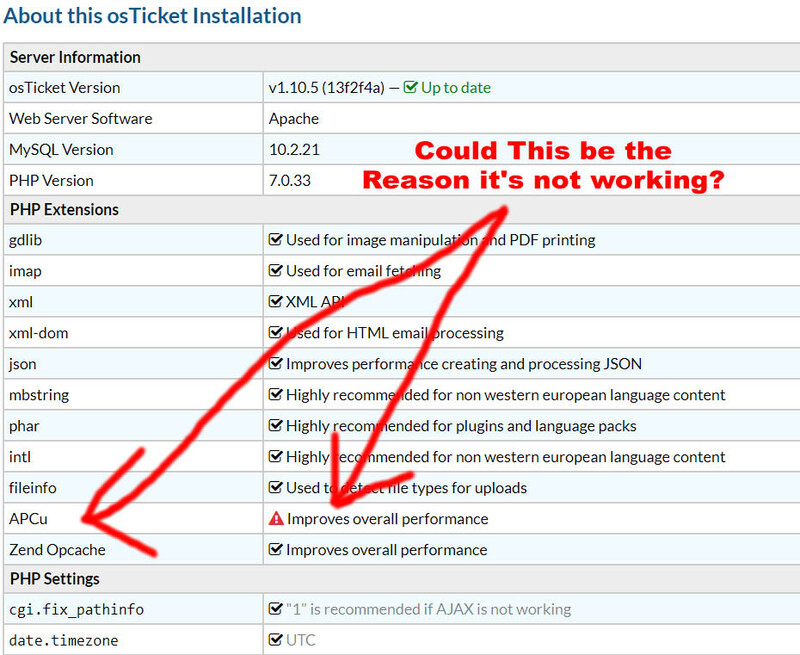 I'm thinking I might upgrade to the latest osTicket and see if the same issue occurs. Again, please advise where I can provide the raw email headers of the ones that deliver without the body. @kevinthejedi where should he send the raw email with headers for testing? Is the email header and raw content I provided enough or correct? Please let me know if I can provide anything else? ALSO NOTE: I'm using PHP 7.0 (ea-php70) on my hosting server. First would these files still be compatible with osTicket v1.10.5 and could it possibly already contain the fix for this whole issue? Let me know if this raw data for email noreply@shopify.com coming from Shopify Form is sufficient for looking into the issue. and @danielsantos posted a possible solution on Oct '18 please let me know if this can be implemented? I setup a TEST Help Desk on a different domain using v1.10.5 and the same issue is happening. I then upgraded to version 1.11 and the same issue is still happening. I looked at the edge of development and the Mail Folder files haven't been updated for 3 years. 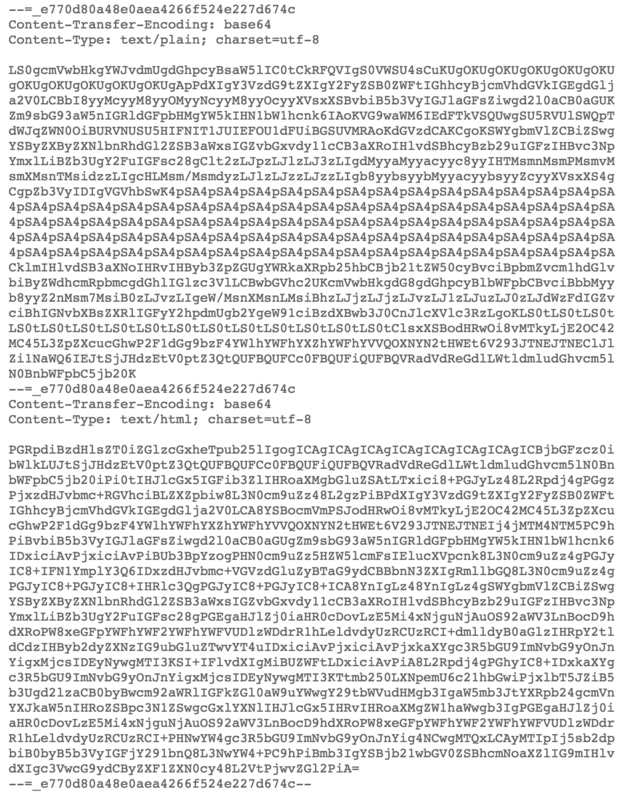 I tried changing the mimeDecode.php manually as @danielsantos posted on Oct '18 but that did not fix this issue. I would think this would be a huge issue for all users of osTicket. @KevinTheJedi please let me know if you have had any progress on resolving this issue? Wait.....you're replying to an alert as an Agent or User via email???? If Agent, this is why...we've never supported replying to an alert as an agent via email. Okay, after some testing I see the same issue with the email data you provided and I'm pretty sure it's due to the format of the email. It's a Rich-text email (meaning non-plain text) but none of the contents are encoded and there are no boundaries around the encoded contents. This could be due to the way you copy/pasted it though. Notice the contents are encoded and there are boundaries around them. This could be the reason why your emails are appearing as EMPTY as all my emails from Gmail, YaHoo, etc. are all working just fine and all of them encoded and include boundaries. When I'm testing I'm just replying to the ticket replies using a test email account on my iPhone. But the same thing is happening when my real customers are replying to the tickets also. The easiest way to test is with your gmail account setup on your iPhone not your computer. 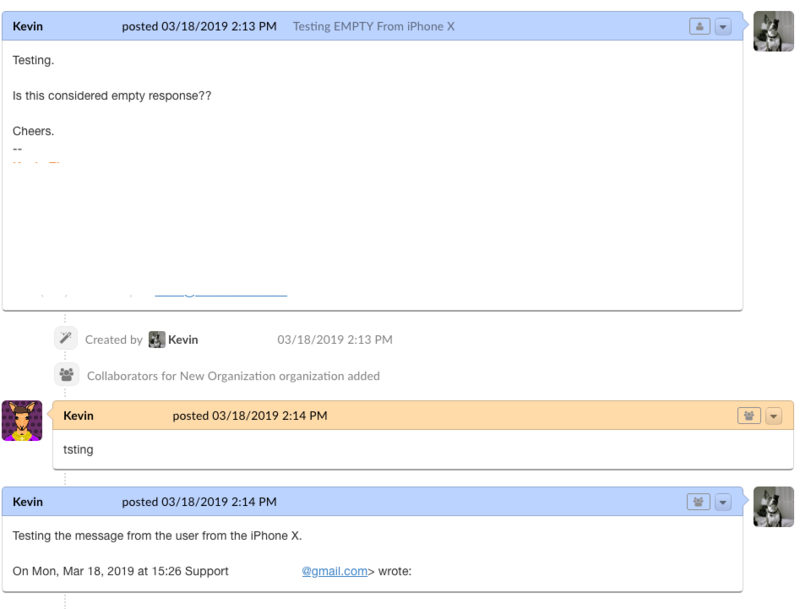 Every test email I've tried either Yahoo, Gmail, other accounts have always given (empty) when replying using the iPhone. This is not copy and paste stuff this is just replying to the ticket back and forth. I cannot believe this is not a huge problem for all osTicket users. Again I can see the original emails correctly with all the information either on Web Email or Outlook or my iPhone or Thunderbird but on the osTicket Help Desk it just shows (empty). There must be a way osTicket can capture the information in ticket replies from the iPhone customers. Just did and cannot replicate the issue using Gmail app and iPhone X. Must be the app you're using or the configurations of that app. Try using the native Gmail app on iPhone instead. The original email was from Gmail, it created the ticket no problem. Then I replied as an Agent via portal. I received the email alert as the User on my iPhone X and replied to it using the Gmail app for iPhone. This was fetched by the system and added as a thread entry just fine. Well, after my testing it would appear that this is not a big issue as it only pertains to one particular application and/or that applications configurations. Gmail app works just fine. I'm just using the native mail app built into the iPhone 6 Plus. In other words I'm not installing any apps for email just using what comes already standard on the iPhone. Are you guys using PHP 7.0 (ea-php70) ? Are you guys using email piping? I'm not sure what apps or email systems my customers are using but I'm getting (empty) ticket replies all day long. I did email piping using your test data but all other tests were fetching. Just tried my emails again from my iPhone using piping and it still works correctly so it's not due to piping. Have you tried these fixes yet?